The year 2008 brought some big events to the Nigerian music scene - the ThisDay concerts and the MTV MAMA awards were two memorable ones. The MAMA particularly was a big night for music enthusiasts in Nigeria - the first edition of the MTV-Zain music collaboration saw http://nollywoodgists.com clinching six of the 10 awards. Using reports from several media sources, http://nollywoodgists.com presents the movers and shakers of the Nigerian music scene - the “9ja Top 10” in multimedia. Won several awards in 2008 including the MAMA's Best African Act. His dancehall tracks, especially Timaya, endeared him to so many fans. First, he left the shores of the country for the first time in 2008. Secondly, he made so much money and thirdly, he got married to his babe. To cap it all, his Gongo Aso has fetched him so many national and international awards. He came from nowhere and suddenly, Naeto C is big on the rap music scene. He is certainly going places and winning awards. The numero uno gospel jazz saxophonist (several of his audio files are on AfricanLoft) takes his music to newer heights in 2008 “Arabarabaribita”, a collaboration featuring Sasha is one big smash hit, and a frank reminder that Mike is not just about blowing the sax: he's also an entertainer. 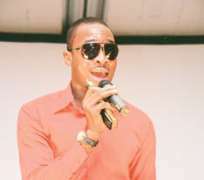 He came out with his hit track, Yahozee, even had a wonderful perfomance with US former Secretary of State, Colin Powell. The Jailer crooner was just the bomb in 2008; won an international award in France. Faze did not go Kolomental this year, rather, he became more 'original' with his 'Originality' album. Innocent Idibia aka 2Face, is still the man of the moment one of few Nigerian artistes that have toured the globe.